Construction Today originally published article in July 2018. That’s why Wirtz and his partner, Chuck Elyea, founded ShareMyToolbox, a new and user-friendly tool tracking solution designed for the construction industry. “Ours is a different approach to a very old problem,” Wirtz says. Although tool trackers have been rolled out by highly reputable toolmakers like Bosch, Milwaukee and DeWalt, the solution developed by ShareMyToolbox is different. Most tool trackers on the market today use GPS and Bluetooth-based technology for tracking. Their beacon-based technology presents issues with range and signal reliability. Plus, beacons can be difficult to attach to each item and easily removed by a thief. ShareMyToolbox does not use hardware-based solutions that rely solely on beacons, GPS and Bluetooth technology. Instead, the company created a responsibility-based tool that utilizes modern app technology incorporated with accountability. It tells the user who has the tool at all times. 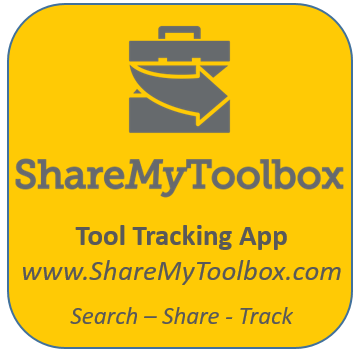 ShareMyToolbox is a mobile field tracking and tool management software solution for small tools based on peer-to-peer sharing. Once the app is installed, the user is responsible for compiling an inventory list that includes all tools and equipment that need to be tracked. In addition, ShareMyToolbox recommends making notes on how long the item has been owned to better anticipate needed maintenance or replacement. The user then catalogs tools and makes connections to other users to assign tools. Users can share tools, transferring both the tool and responsibility for the tool from user-to-user. This removes a need for an office or warehouse employee managing the transfer. In addition, the app includes an optional barcode tool-tracking function. The app is available for both iOS and Android phones and tablets. In addition, ShareMyToolbox provides a cloud database that gives users a connection to a PC, allowing them to centralize all information collected from the app into the cloud. “That cloud database is key when you’re running a company,” Wirtz says. ShareMyToolbox charges a per-person monthly fee for the service ($10 per user, per month). A mobile barcode tool-tracking system can reduce the annual cost of buying and managing those tools. According to an industry survey by CFMA (Construction Financial Management Association), most companies will see a 20 percent drop in tool expenses after implementing a modern tool tracking system. Considering an average mid-sized contracting company spends roughly $100,000 on tools, that’s a lot of dough. The survey also discovered that 50 percent of contractors have given up on tracking small tools and equipment. Instead of a tool-tracking system, many contractors expense tools rather than including them in asset capitalization. ShareMyToolbox’s management software eliminates the need for an accounting-based tool policy – which is usually a task that both employees and company owners and managers dislike, Wirtz says. In a nutshell, the software empowers employees and employers to make better use of tools. They can search for what they need before buying new and it enables the company to track all of its tools at all times. To learn more about ShareMyToolbox please visit us at Tool Inventory Tracking. Construction Today a leading publication for the contracting industry reviewed ShareMyToolbox. The simple app helps contractors track small tools and equipment.